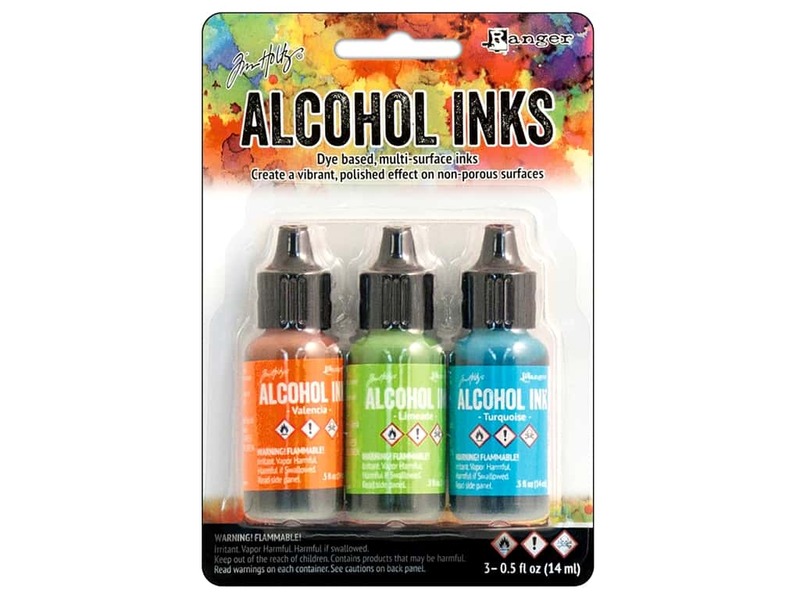 Description: Tim Holtz Alcohol Inks by Ranger are permanent, fast drying, transparent, multi-surface inks specially formulated to create a vibrant, polished stone look. Use on glossy paper, dominoes, metal, foil, shrink plastic, glass and other slick surfaces. The perfect ink for many paper and craft projects. Acid free. Fade resistant. 0.5 oz. Spring Break includes Valencia, Limeade, and Turquoise. 3 pc. See more Ranger Tim Holtz Alcohol Ink.